Ecogear Grass Minnow is one of the most well known soft plastics in the world. 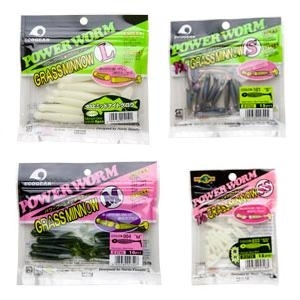 It is also the first choice for many angler's soft plastic. It has a unique wiggle swimming action because of the shape of the lure. You can choose from 4 size and 36 colour variations. Grass Minnows can be used with jig head rig, split shot rig and even down shot rig or no sinker rig. 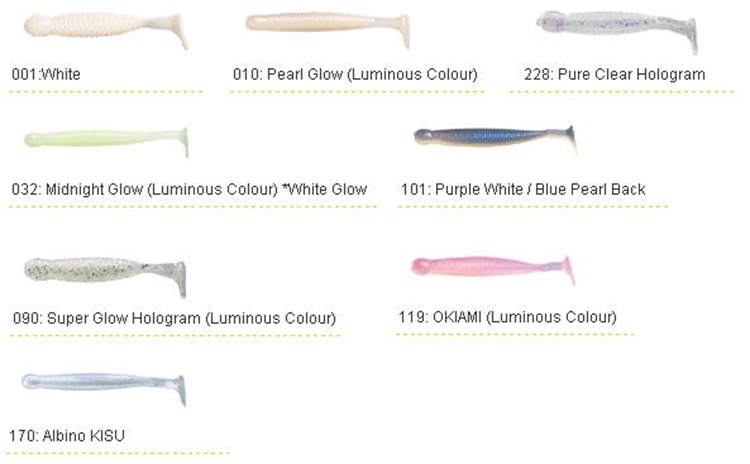 SS and S size is for light tackle game fish such as small GT, small rock fish, coral fish, small jack, bream and trout. M and L size is for bass, rock fish, sea bass, flat head and flat fish and similar size fish.